Healthy Smiles Dental Center (Santa Ana) - Book Appointment Online! The practice is on the first floor of a medical/dental building surrounded by a Chase bank, an LA Fitness gym and a Boiling Crab restaurant. Using the latest technology in dentistry, the dental office provides gentle, patient-centered care for the whole family and offers whitening, cleanings and fillings. 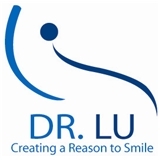 Dr. Lu also offers the best in modern cosmetic dentistry as he has trained at the prestigious Las Vegas Institute (LVI) and also improves smiles with Lumineers. In addition, Dr. Lu has attended the Engel Implant Institute where he was trained to place dental implants to replace missing teeth. Other dental services offered include Invisalign (clear braces) and treatment for snoring and obstructive sleep apnea (which can be a life-threatening condition). I did my wisdom teeth extraction with Dr. Lu. He’s very calm and tentative to my needs. I was quite nervous, as I haven’t done any extraction work in adulthood. Thankfully, I am feeling good both during and after the operation.